I saw Hank Steinbrenner yesterday afternoon, as he walked out of the complex bearing his late father's name, a cigarette dangling from his left hand. Hank gave me the stink eye, I nodded and I didn't think much of it. Hank had missed the previous six days of camp, which in itself isn't very surprising. His time as a compelling Yankees figure has long passed. Later, however, I found out that Steinbrenner addressed a handful of reporters and made comments so ridiculous and outrageous - most of all taking a clear shot at Derek Jeter - that we couldn't ignore them. 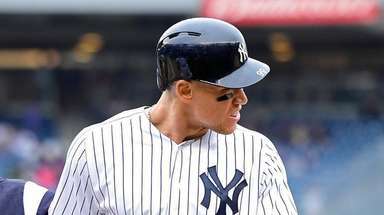 I included some thoughts on Hank in my column on Alex Rodriguez, and I decided to stay an extra day in Tampa to deal with the aftermath. Watching Jeter deal with the questions this morning, and seeing Joe Girardi try to spin this into a postive, should be more interesting than anything going on in Mets camp. But to be clear, in no way do I agree with Steinbrenner that Jeter's career-worst season resulted from the completion of his mansion (nicknamed "St. Jetersburg" on Tampa's Davis Island. Jeter doesn't deserve such nonsense, no matter what sort of acrimony surfaced in this past winter's negotiations. Besides, as one friend of Jeter's pointed out yesterday, that house was an ultra-long project - it took over five years to get done. How did Jeter put together such a great 2009 if he was so wrapped up with the mansion? All of the comments - on the 2010 Yankees lacking a "hunger," on revenue-sharing - reeked of ignorance. For a very short while after the 2007 season - let's call it a month and a half - Hank was actively involved in baseball operations. Yes, he pushed for A-Rod's monster extension, although it must be realized that Hal Steinbrenner wanted that, as well, over the objections of Cashman. Since then, however, Hank has served more of a ceremonial role. He shows up at work when he feels like it, and he often can be seen in his office watching chess matches on-line. People who know Hank well say he is quite the intellect, seriously, with interests in history and music as well as chess. On the positive side, he found a great outlet last summer in Hank's Yanks, the New York-area baseball team for underprivileged youngsters that he financed. Great stuff. But days like yesterday really blow up all of that goodwill. Hank Steinbrenner has the right last name, and that last name does give him the juice to be in the loop on baseball operations, even though he doesn't really exert any influence anymore. And when he makes headline-grabbing comments like yesterday, we have to give them notice, because he is part of the royal family, even if his nickname in the industry is "Tommy Boy." So how do we deal with this guy? I thought Erik Boland did a nice job in his news story, publishing the comments while also pointing out how little Hank actually does regarding the on-field product. Hank clearly wanted some attention yesterday. And while we're far from the days when his dad would speak with bombast and then back up those words with behind-the-scenes action, we still have to keep an eye on The Boss' older son - while pointing out the generational differences. --Sounds like Terry Collins made quite the first impression in his opening meeting with the entire Mets squad. Which was exactly what Sandy Alderson had in mind when he hired Collins, undoubtedly. --Collins will let Carlos Beltran ease his way into Grapefruit League action. --Good column by the L.A. Times' T.J. Simers about the mercurial Matt Kemp, who has to play better this year for Don Mattingly's Dodgers to have a chance.